Week 13 is upon us. The Patriots are making a reappearance on the list as well as Philadelphia, while Denver and Baltimore continue to play well. The Saints are on the rise and the Chargers remain strong. I came very close to including the 49’ers as a waiver pick this week, but had to use the backspace after thinking it through, the Jets also were considered. In the end I settled on the teams below as the teams I’d most likely start in a must win situation in Week 13. Good Luck and see most of you in the playoffs! How did I do last week? So so best describes Week 12. The 3 teams I hit on did good to great while the 3 teams I missed on barely broke zero. New England Patriots (vs LA Rams) – Jared Goff’s numbers looked better in his second start, throwing for 3 TD’s and 214 yards against 1 INT. However the Saints defense secured 3 sacks and a forced fumble in addition to the INT and scored 9 Fantasy Points. This week the Patriots should have similar success at home. Denver Broncos (@ Jacksonville) – Denver faces a Jacksonville team who will be without RB Chris Ivory. Allen Hurns has missed practice with a hamstring injury and the team’s other RB T.J. Yeldon has been limited in practice. Denver’s defense should easily score double digits this week facing Blake Bortles who has struggled even behind a healthy team. Philadelphia Eagles (@ Cincinnati) – The Eagles defense should bounce back this week against the Bengals. QB Andy Dalton is still without A.J. Green and the offensive line has struggled. Philadelphia’s pressure should force some turnovers Sunday. Baltimore Ravens (vs Miami) – I think the Miami winning streak ends this week. It does appear the Dolphins will get back two of their starting offensive linemen for this game, which should help the running game, but Baltimore only gives up around 75 rushing yards per game, so the Dolphins will have to throw and it appears DeVante Parker will be out with his back injury. Baltimore’s offense is no juggernaut themselves so this game should be close in the 4th quarter. Fantasy wise, the Baltimore defense has been fairly consistent, and should put up close to double digit points again this week against a Dolphin offensive line that will be playing at less than one-hundred percent. New Orleans Saints (waiver play) – The Saints defense has played better of late. The return of rookie DT, Sheldon Rankins, is a contributing factor to this change. Over their last three games they have scored 10, 4 and 9 points. During weeks 1-9 they scored a combined 8 points. This week they face Detroit and should be able to put pressure on Stafford. San Diego Chargers (waiver play) – Hopefully the Chargers are available in your league, two weeks removed from their bye-week. Their opponent, Tampa Bay, has played better of late, but I think the Chargers will get to Winston this week, and continue to put up nice Fantasy points. They have scored double digits in three of the last five games, and unless Doug Martin is able to control the clock against them, their outlook is favorable. Now for the Safety and Corner plays for IDP leagues. Below are picks for Week 13, focusing primarily on players who are not currently top five at their position in Fantasy Points. The current Top 5 Safeties (using Major League Fantasy Sports scoring) are: Landon Collins, Tony Jefferson, T.J. Ward, Bradley McDougald, and Rodney McLeod (Mark Barron is 3rd on this list if he qualifies as a Safety). The Top 5 Corners are: Casey Hayward, Marcus Peters, Janoris Jenkins, Byron Maxwell and Tramaine Brock. Keanu Neal (ATL) – Neal faces the Chiefs who are normally more of a balanced offense, but could be in coverage against Travis Kelce, Alex Smith’s favorite target of late. Kenny Vaccaro (NO) – Vaccaro has a nice match-up this week against Detroit. He should be used in some blitz packages and defending the short range passes Detroit’s offense likes to throw. Tavon Wilson (DET) – Wilson has put together four good games in a row. With the lack of serviceable linebackers and the injury to DeAndre Levy he is playing closer to the line of late and against the Saints this week he should continue to have opportunities for plus tackle numbers. Clayton Geathers (IND) – Geathers missed last week’s game while in the concussion protocol, but he appears to be on track to start this Monday night. When active he regularly leads the Colts or is near the lead for the Colts in tackles, and against the Jets this isn’t likely to change. Chris Harris Jr. (DEN) – I like Chris Harris and Aqib Talib this week. They’re both facing Blake Bortles this game which bumps them up in the rankings. Allen Hurns is nursing a hamstring injury, Allen Robinson hasn’t been hard to cover, and Blake Bortles has struggled with accuracy and decision making all season. E.J. Gaines (LA) – Gaines is the new starter opposite Trumaine Johnson. The previous two players in this position have both been cut, but Gaines does have experience with the team and has had decent fantasy production the last two weeks. Tom Brady will be giving him some opportunities to shine this week. Marcus Cooper (ARI) – Cooper has scored well in all of his match-ups against pass heavy offenses. They tend to target him over Patrick Peterson, and this week Kirk Cousins should do the same. Daryl Worley (CAR) – Worley has scored well over the last three games, and Sunday night in Seattle the trend should continue. Seattle has struggled to run the ball with Rawls taking over, and with Luke Kuechly and Mario Addison questionable for this game the secondary will come into play a lot against Seattle’s passing game. A.J. Bouye (HOU) – Bouye is facing Aaron Rodgers this week. Rodgers normally looks for the open man, and though he has played well of late, Johnathan Joseph is the better corner and Bouye should have opportunities. Last week was an off week, hitting on 5 of 9/10 picks. Steve Nelson – Did Not Play / Injured neck in Thursday practice and was out. Check back each week for D/ST starts and streaming options, along with IDP secondary picks. 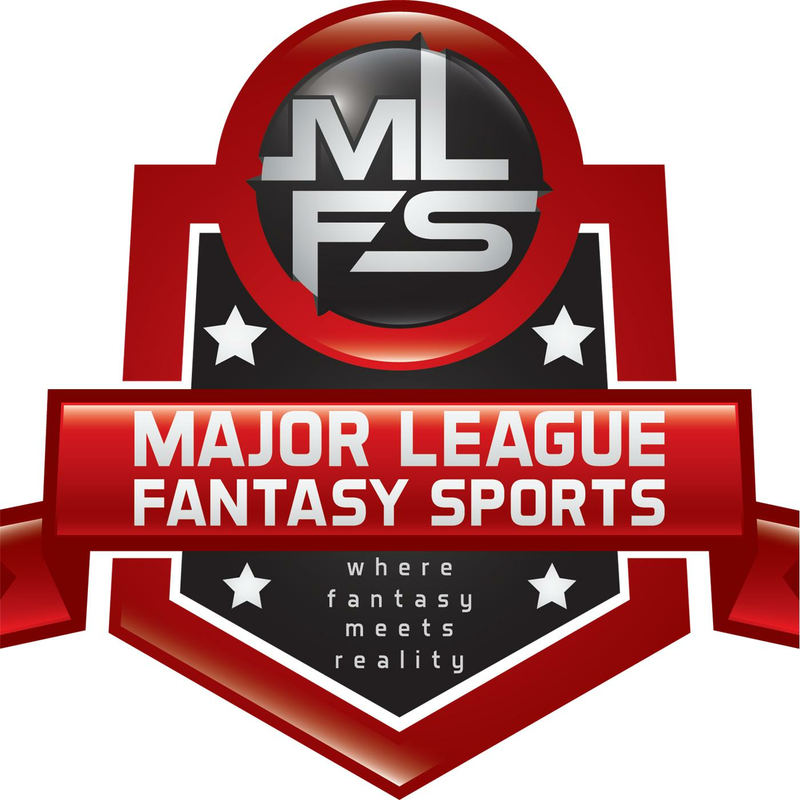 Major League Fantasy Football Show: Join Ej Garr, Corey D Roberts, and Bryan Luhrs live Sunday December 4th, 2016 from 11am-12:30pm EST for episode #78 of Major League Fantasy Football Radio. This is a live broadcast and we take callers at 323-870-4395 press 1 to speak with the hosts. We will be breaking down key matchups, discussing fantasy start/sit, some DFS, and handicapping as well. Bryan is the owner os Real Deal Dynasty Sports, a writer with MLFS, and a frequent guest on our radio shows.